The major advantage of using PowerPoint as a mockup tool is it's Ubiquity: almost everyone has it and knows how to use it. It provides a common design environment that bridges the gap Between business users and developers. 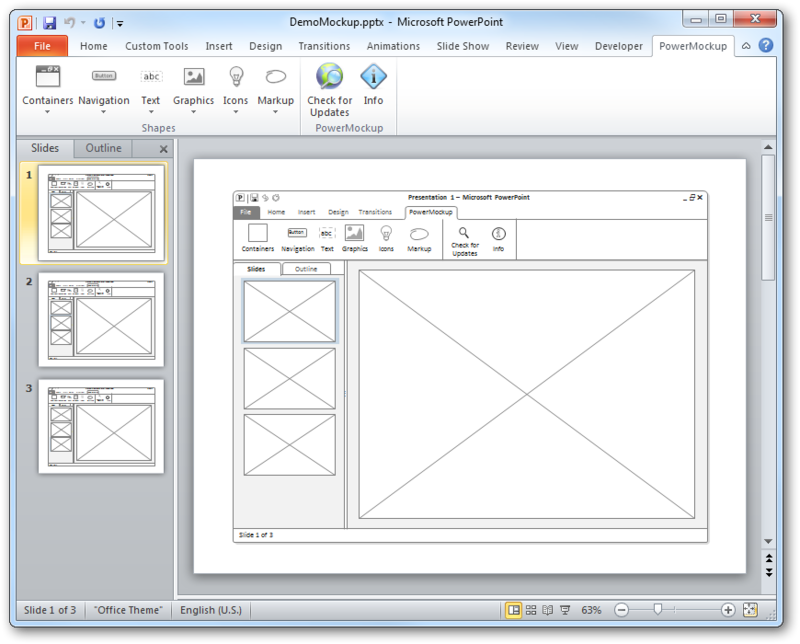 Great printing capabilities, zoom, undo/redo, grouping, audio/video support you can free download PowerMockup 1.1.0 now. Qweas is providing links to PowerMockup 1.1.0 as a courtesy, and makes no representations regarding PowerMockup or any other applications or any information related thereto. Any questions, complaints or claims regarding this application PowerMockup 1.1.0 must be directed to the appropriate software vendor. You may click the publisher link of PowerMockup on the top of this page to get more details about the vendor.